Touring car ace Rickard Rydell has been confirmed for Chevrolet Team Sweden for the Swedish Touring Car Championship 2011. “This feels right for me with a motivated team and a winning car in the Chevrolet Cruze,” said Rydell. 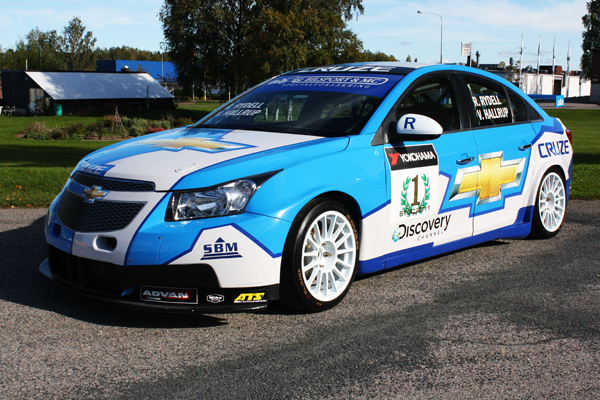 The team is going to run two Chevrolet Cruze next year with Rydell and current driver Viktor Hallrup. “It is going to be fantastic to drive together with an experienced driver such as Rydell. Next year we are not going to have the disadvantage of a one car team that we have this year,” said Hallrup. Chevrolet Team Sweden team boss Nicklas Karlsson is more than pleased to get Rydell in to the team. “We are still a young team but have experience from both STCC and WTCC and is now ready to take onboard a driver of Rickard’s calibre. Our current driver Viktor Hallrup will also learn and develop from having one of the best touringcar drivers as his teammate next season,” said Karlsson. Rydell has taken a year off from racing this year, last time the Swede was doing a full season was in 2009 for SEAT in the FIA World Touring Car Championship. “During 2010 I have felt a growing disire to return to touringcars again, a year off has been good for me. The test with the team and the Chevrolet Cruze in August made my decision quite easy,” said Rydell.